Rynne family tree by Paddy Waldron. 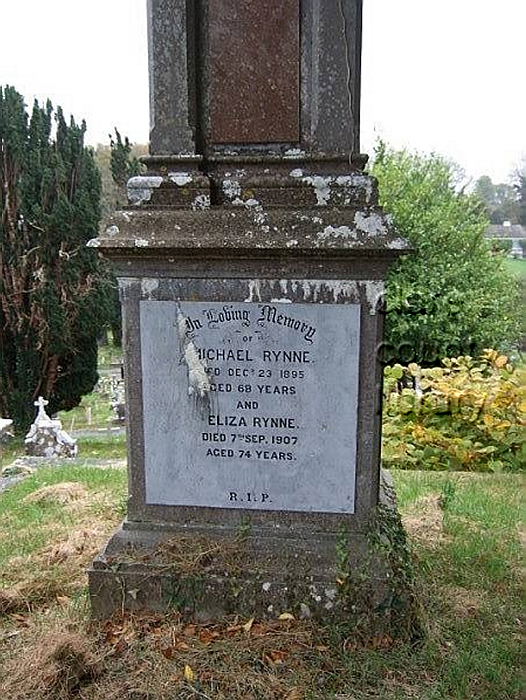 Rynne family graves are at Drumcliff Cemetery, NW of Ennis, Co.Clare. See old map and modern street view. Inscriptions and photos at Clare County Library. 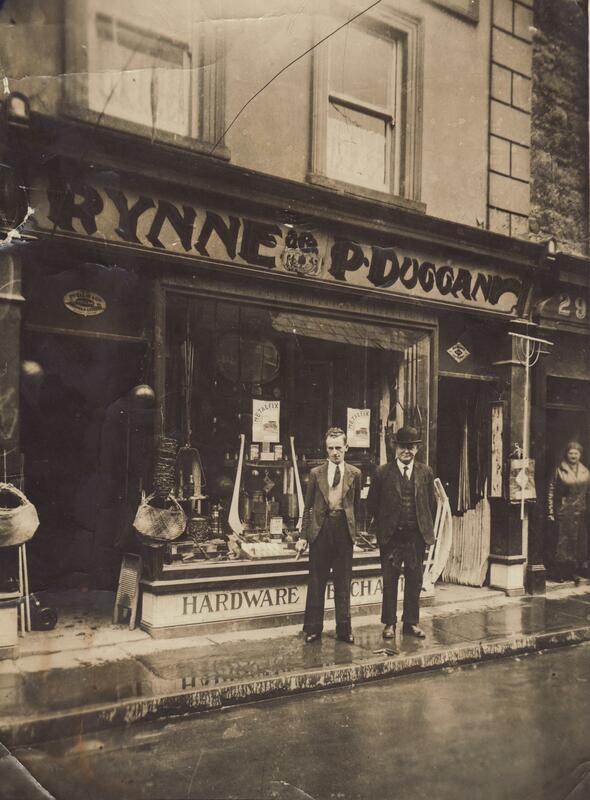 Rynne and Co. Ltd, 31 O'Connell St, Ennis. He ran ironmongers in Ennis, Co.Clare. He mar 1 July 1855 [Drumcliff RC par records, Ennis is in Drumcliff par] to Eliza Lysaght [or Elizabeth, born 1833, or poss. 1834, dau of Daniel Lysaght]. She has a possible Anglo-Irish descent from Nugent, Baron Delvin. If true this would give her a descent from Edward I and Aoife Mac Murrough and Strongbow and Brian Boru. Michael and Eliza were living Jail St, Ennis, at son's birth 1867 (this would be Gaol St, now O'Connell St). He built up successful ironmongers and hardware business, Rynne and Co. Ltd, 31 O'Connell St and Market St, Ennis (see map). 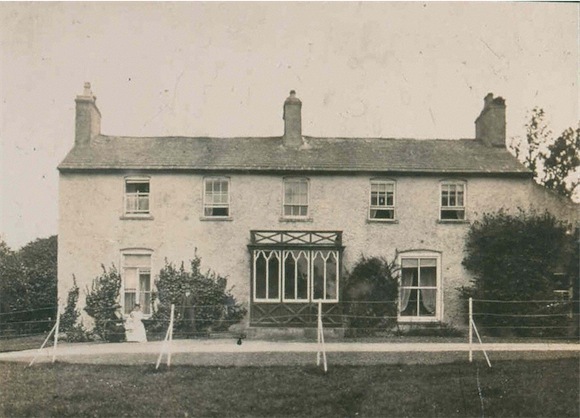 In 1884 he purchased a big 18th century house, Springfield (or "Springfield House"), Ennis. 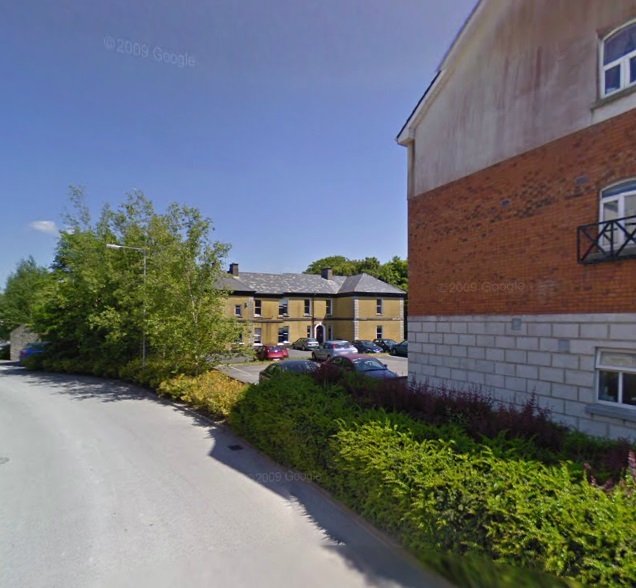 This building had formerly been used as St. Flannan's college (where his son was educated). He died Dec 23, 1895, aged 68 years [grave]. (todo) See death of Michael Rynne, [GROI], Ennis, 1896, 1st qr, age 67, vol 4, p 136. He was bur Drumcliff Cemetery, Ennis, Co.Clare. Eliza lived to see her son Dr. Michael die early in July 1907.
can't find death in [GROI]. She was bur Drumcliff Cemetery, Ennis, Co.Clare. born 29 Sept 1867, Jail St, Ennis (this would be Gaol St, now O'Connell St) [GROI]. Grave of Michael Rynne and Eliza Lysaght. 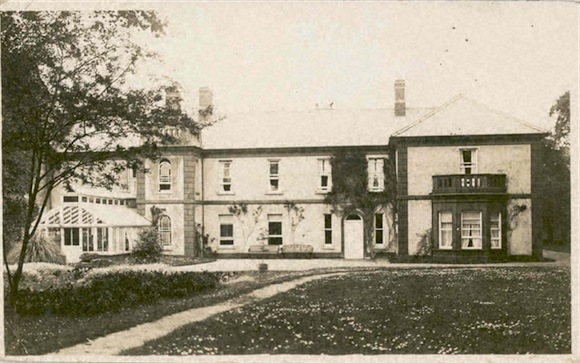 Springfield House, Ennis, c.1900 (rear view). 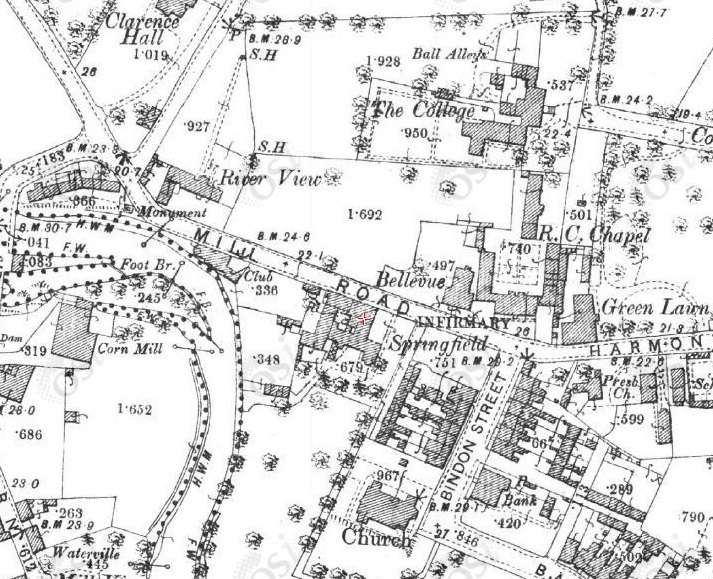 Springfield House, Ennis (red cross) on 1887 to 1913 map. 2009 screenshot from street view. 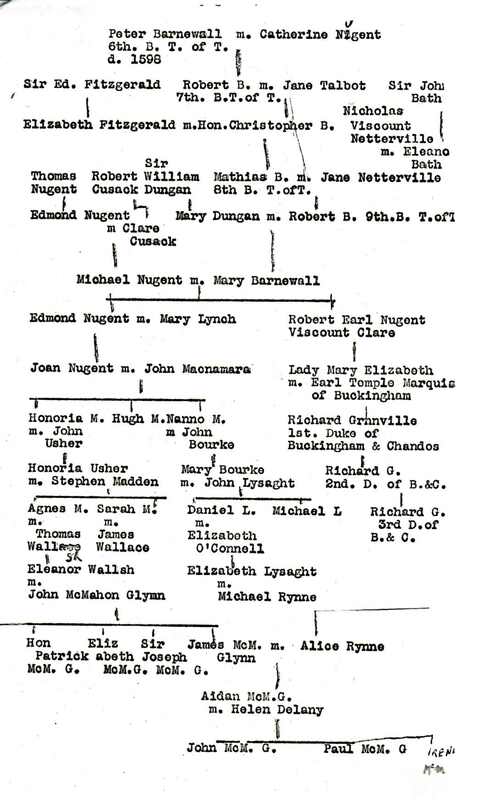 Lysaght family tree (see p.1 and p.2), by Aidan McMahon Glynn (of Killiney, Co.Dublin). 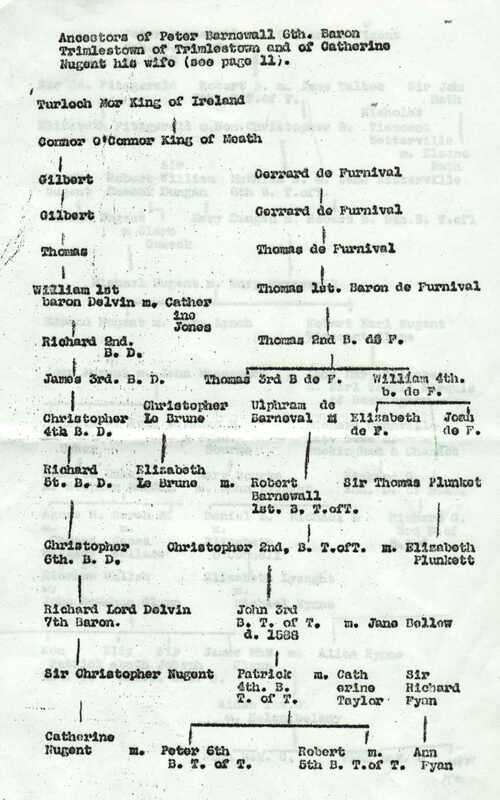 [Lysaght family tree] claims that the above Edmond Nugent is the same as the below Edmond Nugent. This seems unlikely. More proof is needed here.